TripBit is taking over the $7.6 trillion-dollar travel industry through the integration of blockchain technology. Our core all-in-one online bookings platform enables users to purchase bookings for flights, hotels and events/activities with both major cryptocurrencies or fiat, and without the hassle of navigating a plethora of different websites to find the best deals. In addition to our core platform, we are creating a decentralised, secondary peer-to-peer marketplace for the buying and selling of events tickets that would otherwise be non-refundable, giving the power back to consumers. Our first-mover advantage and global scale of platforms allures both consumers and businesses, supporting cryptocurrency mass-adoption whilst enabling TripBit’s vision of TBT becoming the globally accepted currency of travel. Travel & Tourism is one of the worlds largest industries, contributing an impressive 7.6 trillion US dollars to the global economy in 2016. This massive industry predominately operates through fiat currency and hence is subject to an array of problems including extortionate foreign exchange rates, transaction delays, and double bookings. So, let’s bring efficiency, low fees, and trust to the Travel & Tourism industry with blockchain technology. TripBit will build a platform that will indeed revolutionise the Travel & Tourism industry with blockchain. TripBit will create an ‘All-In-One’ solution by integrating three core businesses — Flights, Hotels, and Events, into a single platform running on blockchain technology. By integrating Flights, Hotels, and Events services into a single platform, travellers will not have to waste time navigating a plethora of websites searching for the best deals, and hence TripBit can be considered an “All-In-One” solution while aiming to provide the cheapest prices available on the market with blockchain technology. Additionally, TripBit will continue to seek to expand its services, with tour, itineraries, airport pick-up and delivery, and car rental services at the top of their list. TripBit will also build a second platform, one that will offer a market for travellers to buy and sell their tickets, this will be available through a Decentralised Application (Dapp) powered by the Ethereum blockchain. This Dapp will be a Peer-to-Peer (P2P) marketplace to facilitate the decentralised transaction of tickets related to travel (i.e. events, tourism, etc). The purpose of this platform is to empower ticket holders who would otherwise not be entitled to a refund, and those who desire to resell and purchase discounted tickets with no intermediaries, while still maintaining security and of course minimal fees and instant transactions due to the underlying blockchain technology. In order to fuel the TripBit platform, TripBit will be launching the TripBit Token (TBT) as a new from of currency. However, payment options are important because not everyone owns cryptocurrency. In recognition of this. TripBit will hence cater to both cryptocurrency and fiat payment options, maximising its target market and revenue streams. All major currencies will be supported on TripBit including TripBit Tokens (TBT), Bitcoin (BTC), Ethereum (ETH), Litecoin (LTC), and fiat (USD, AUD, EUR, GBP, etc). 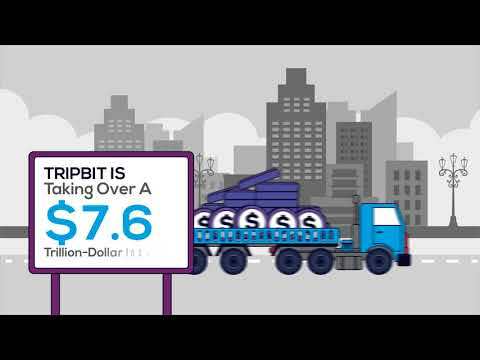 Through this business model, TripBit will also contribute to the mass-adoption of cryptocurrency by exposing everyday travellers to the benefits of blockchain technology as a form of currency.